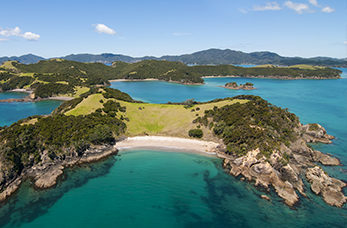 The Bay of Islands is one of New Zealand's top tourist stops with its beautiful beaches and extraordinary scenery. The Bay of Islands is also a place of historic significance which goes back to the 1840's. Go on boat trips around the island through the crystal clear ocean and watch the dolphins and whales swim beneath you. Learn about the culture and history whilst taking in the natural beauty of the Bay of Islands. The Treaty House was built in 1832 and is preserved as a memorial that contains many displays. A photographic exhibit goes more into detail about how the house was built and the history behind it. The Stone Store is New Zealand's oldest stone buildings and dates all the way back to 1836. The grounds are where thousands were killed during the Musket War and you can see the place where they died. This was built in 1842 to house the printing press and is the last mission's house remaining in the Western Pacific. A mass produce of 40,000 books were printed here. In the 1870's the building was converted into a private home but is now restored to it's original state.